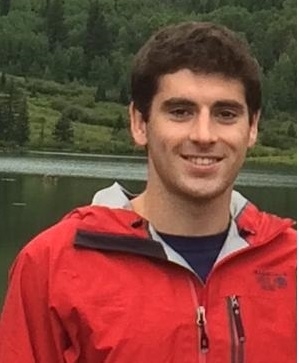 Chris Hopkins '15 is from Wellesley, Massachusetts and studies Economics and Engineering at Dartmouth College. As a result of his experiences tutoring both at the King's Academy in Jordan during his gap year as well as at a public school in Cambridge, he has seen the value of tutoring programs firsthand. After reflecting on these experiences, he wondered whether you could use the internet to run the same type of tutoring sessions online. Upon proving the concept to himself with tablets and some free software, he and the team launched Boost's first pilot last winter. After Boost's initial success, Chris and the rest of the Boost team are eager to bring our model to more classrooms. Get in touch with Chris at christopher.t.hopkins.15@dartmouth.edu. 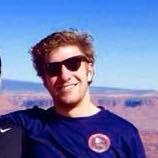 Tucker Hopkins '16 is from Wellesley, Massachusetts. He is studying Economics at Middlebury College and Biomedical Engineering at Dartmouth College and hopes to bring these analytical skills to Boost. He values the ability of Boost to streamline the educational system through increased one-on-one student attention. Get in touch with Tucker at geoffrey.t.hopkins.ug@dartmouth.edu. Ali Dalton '16 is from St. Louis, Missouri studies Computer Science and Biology at Dartmouth College. Having never programmed before her freshman year, Ali has experienced first hand the powers of collaboration and active learning from incredible professors and fellow students in the Computer Science department. As an aspiring full stack engineer, Ali is excited to be a part of the Boost! team as a developer. 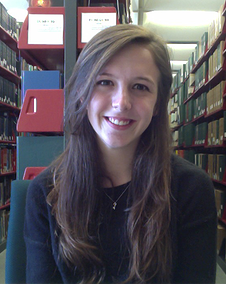 Audyn Curless is a '17 from Bar Harbor, Maine, studying computer science and philosophy. On campus, he is a section leader for CS 1 as well as a study group leader for Psych 1. Audyn enjoys playing IM sports, discovering new music, and playing ping-pong. Get in touch with Audyn at a.17@dartmouth.edu. Sam Gallagher '17 is from Scarsdale, New York and is pursuing a Bachelor's in Mechanical Engineering at Dartmouth College. He is an active member of Jr. First Lego League in which he teaches second and third graders physics and engineering principles using Legos. Using this skill set, Sam hopes to challenge students with exciting math applications in tutoring sessions. Get in touch with Sam at samuel.i.gallagher.17@dartmouth.edu. Dylan Kavookjian '16 is from New Canaan, Connecticut. He is studying engineering at Dartmouth College. As an avid learner, Dylan has always appreciated the value of education and has been a tutor for the SATs and general math/sciences for many years. Since coming to Dartmouth, he has begun to fully appreciate the power that innovative technology will have on our generation, and believes that Boost! can be a leader in revolutionizing the way the world learns. When Dylan is not working with Boost! he enjoys skiing, hiking or doing anything near water. Get in touch with Dylan at dylan.v.kavookjian.16@dartmouth.edu.